Survival Radios can not be soled to individuals without prior permission and not before the concerned authorities approved the End User declaration . Likewise organizations need to provide End User declaration from their Government or customer once they decided to order such items. Customers with already rejected DST-5 applications should not attempt a second application through us. 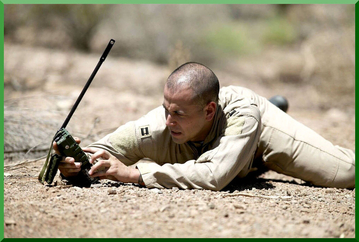 The AN/PRC-112 survival radio provides Army Search and Rescue (SAR) personnel with the capability to perform combat search and rescue (CSAR) missions of downed aircrew personnel. The Survival Radio is critical to minimizing the exposure of not only downed aircrew personnel but also the personnel and equipment of forces conducting the CSAR. 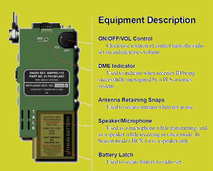 The AN/PRC-112 radio is a multi-mission transceiver used in conjunction with the AN/ARS-6 Personnel Locator Radio Set, and the KY-913 Program Loader to make up the Army Personnel Location System (PLS). The AN/PRC-112 acts as a transponder, supplying ranging and personnel identification to the AN/ARS-6 system. Additionally, it performs beacon and air-to-ground voice functions. A user's location can be accurately determined when used in combination with an interrogator equipped aircraft for rescue/extraction. 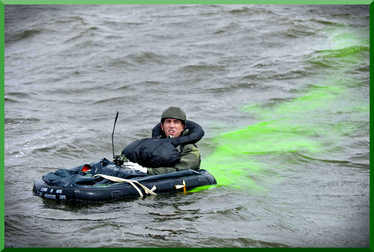 The unit can be stowed onLPU- 17/P, LPU-18/P, LPU-20/P Life Preservers ,SRU-21/P and CMU-33/PSurvival Vests . The AN/PRC-112 currently contains 11 internal modules, of which three critical modules can no longer be manufactured. Due to the obsolescence of these critical modules CECOM has obtained funding to enable a redesign effort to upgrade the radio to state of the art technology. As part of this effort, the radio will incorporate acceptance capability for any power source (including rechargeable/commercial batteries), reduce power consumption, and incorporate indicators for low power and operational status. There are also options built into the contract, to include a Global Positioning Satellite (GPS) tagger capability, a Search and Rescue Satellite Aided Tracking (SARSAT) capability and over the horizon capability. The AN/PRC-112D Survival Radio provides the most cost effective way of dealing with growing obsolescence, while adopting the most reliable and advanced solution available and reducing total cost of ownership. This state-of-the-art upgrade with programmable software results in reduced logistics costs, increased product reliability, and increases mission readiness. Maintenance Concept: Repair at AVUM is limited to replacement of nonrepairable items such as batteries, knobs, earphone, antenna, pins and textile bag. All other repairs are done by the Depot including replacement of nonrepairable modules and assemblies. The AN/PRC-112 radio is a multi-mission transceiver used in conjunction with the AN/ARS-6 Personnel Locator Radio Set, and the KY-913 Program Loader to make up the Army Personnel Location System (PLS). The AN/PRC-112 acts as a transponder, supplying ranging and personnel identification to the AN/ARS-6 system. Additionally, it performs beacon and air-to-ground voice functions. A user's location can be accurately determined when used in combination with an interrogator equipped aircraft for rescue/extraction . 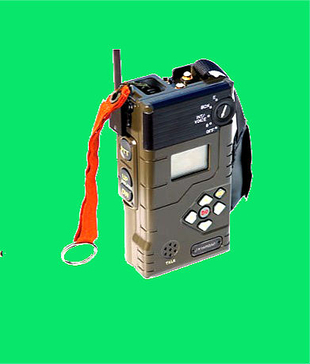 This is a survival radio that is carried in the emergency vest of air crew members. It can transmit a beacon (attention getting warble tone) on 243.0 MHz. Voice on 243.0 or 282.8 MHz and Morse Code in Modulated Continuos Wave (MCW) mode on 243.0. It will receive voice on 243.0 and 282.8 MHz. 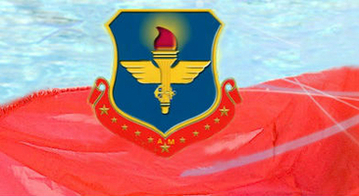 The previous frequencies are for Military emergency communications. The PRC-90 does not work on the civilian emergency frequency of 121.5 MHz nor does it work on the international distress frequency of 406.025 MHz. Note: Aircraft radios use AM so that when two transmissions double both transmissions are heard. This is unlike FM where if one station is stronger than the other (by about 3 dB) the capture effect eliminates the weaker signal and it is not heard. Since an AM receive will not have an audible output when a pure CW signal is being received, a Modulated CW signal is used and the AM receiver outputs the modulation frequency. up to 60 nm (line of sight, depending on receiving aircraft's altitude). It operates on guard (243.0) or SAR primary operating frequency (282.8) with a mode for swept tone signal on 243.0 only. Transmission of beacon or code can be up to 70 nm. Average battery life is about 14 hours.Radio is equipped with external earphone jacks to assist pilot in hearing radio transmission with helmet on." We have few units available for sale with new MIL batteries . Life Preservers ,SRU-21/P and CMU-33/PSurvival Vests . (assuming the aircraft have TR+G selected). civilian commercial aircraft are obliged to monitor 121.5 MHz.